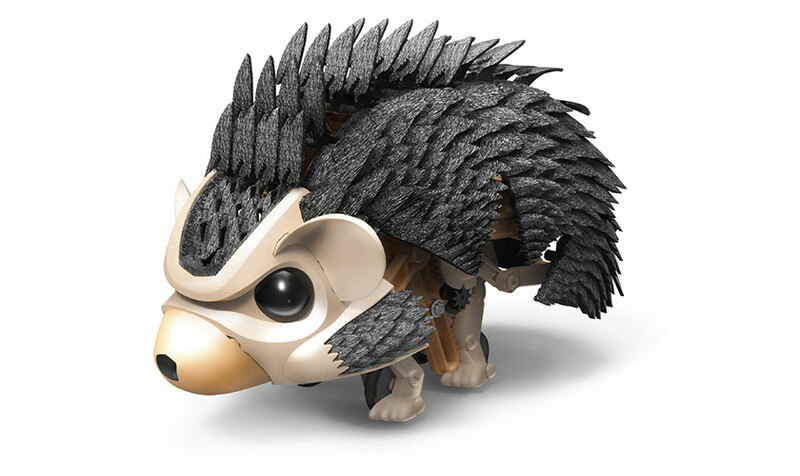 Build your own adorable robotic pet hedgehog! 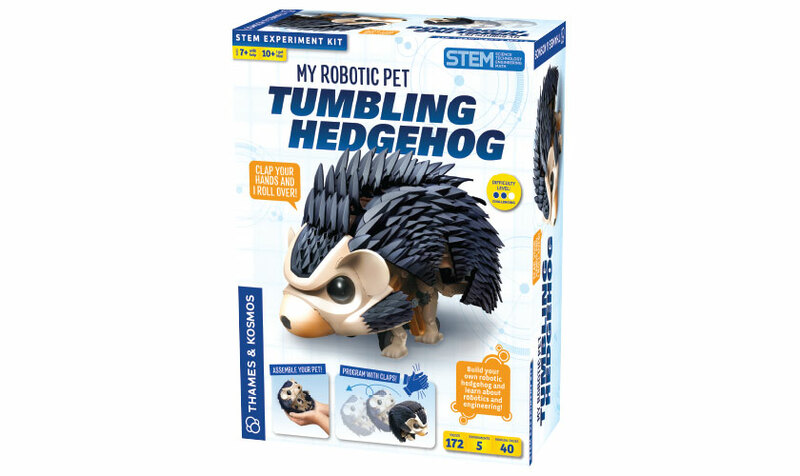 Build your own adorable robotic pet hedgehog! 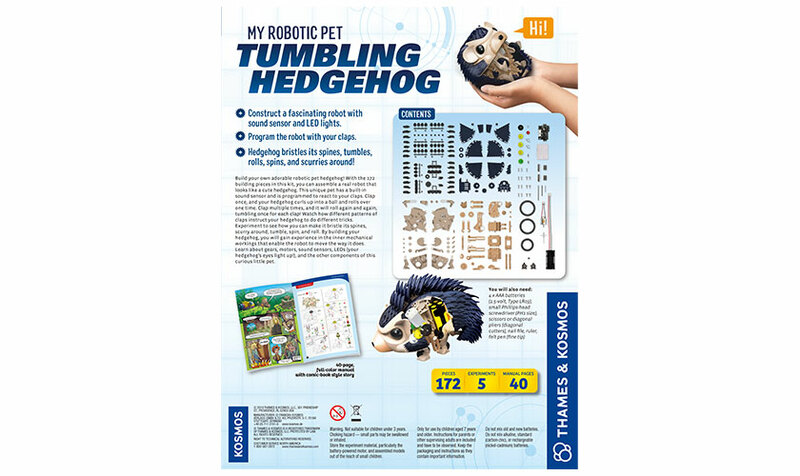 With the 172 building pieces in this kit, you can assemble a real robot that looks like a cute hedgehog. The robot has a built-in sound sensor and is programmed to react to different sounds. After you build it, you can play with it by making different sounds and watching it tumble, roll, spin around, bristle its spines, and scurry around. 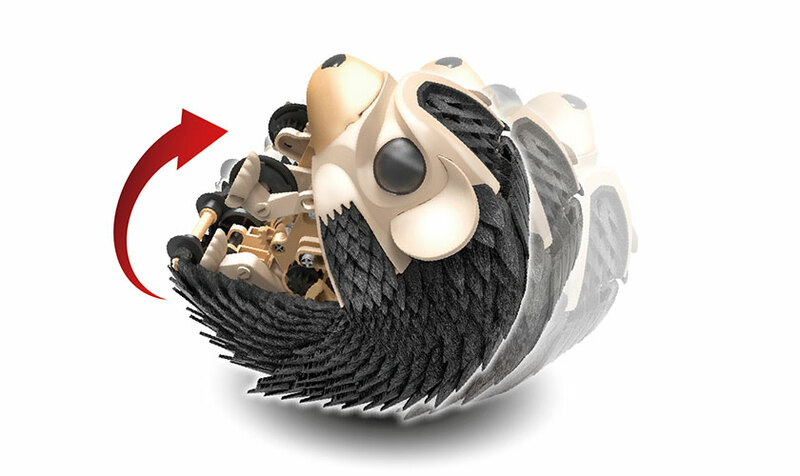 Clap once, and the hedgehog will roll into a ball and tumble backwards. Clap multiple times, and the hedgehog will count your claps and tumble as many times as you instructed with your claps. You can also get the hedgehog to bristle its spines and act in a playful way with different patterns of claps. 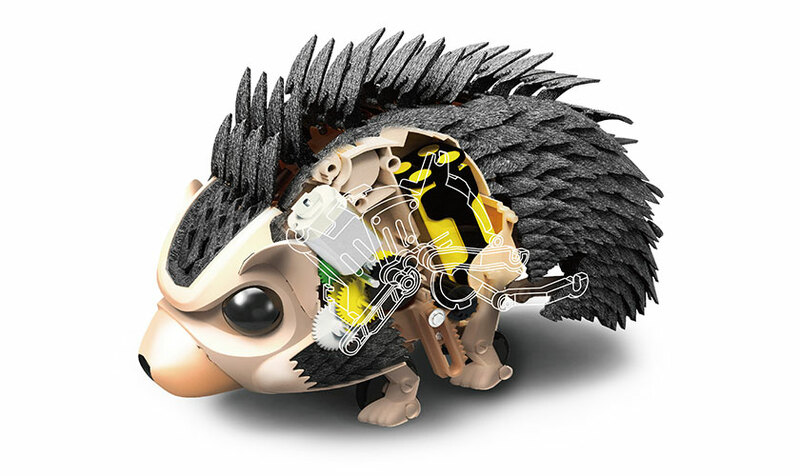 The hedgehog’s eyes light up with LEDs. By building the robot, you will gain experience in the inner mechanical workings that enable the robot to move how it does. Learn about gears, motors, sound sensors, LEDs, and the other components of these funny little pet.